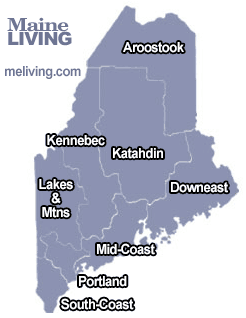 There are several Maine Apple Orchards and PYO Apple Farms here in Downeast-Acadia Maine. The Downeast Acadia – Bar Harbor region is known for great tasting apples. Apple Picking is a New England tradition that occurs Late Summer and Early Fall. Some Maine Apple Orchards produce certified organic apples. Call the Maine Apple Orchards or Apple Farm in advance of your visit to confirm fruit availability, apple varieties, and hours of operation. Please share your Maine Apple Grower comments. To feature your Maine Orchard in Maine’s Internet Magazine, contact us. Family-owned and operated apple orchard for over 50 years. Popular fall attraction for visitors and Maine residents alike.